POST PROCESSING / PHOTO RETOUCHING / DEVELOPMENT SERVICES! Let veteran master printmaker and digital imaging specialist Mark Metternich serve you by helping you develop your digital files (whether scanned film or digital capture) like few can. In the last 13 years Mark Metternich has risen to the top of his field. Amateurs to professionals from various genera of fine art photography entrust Mark to the full development of their photography (from raw file or scanned film, to various print output) because of his meticulous eye for detail, vast digital darkroom knowledge and artistic, intuitive, perfectionist approach to excellence. Mark is currently working with a plethora of photographers in the field of Landscape and Nature and has been described as one who "strikes a very fine and unusual balance between the analytical 'tech head' and the creative, intuitive artist." When excellence is the goal few can match his skills or experience. Average time for masterful processing on a single image starting from raw: 3 hours (give or take 30 minutes). Courses, seminars, workshops and instructional DVD's. 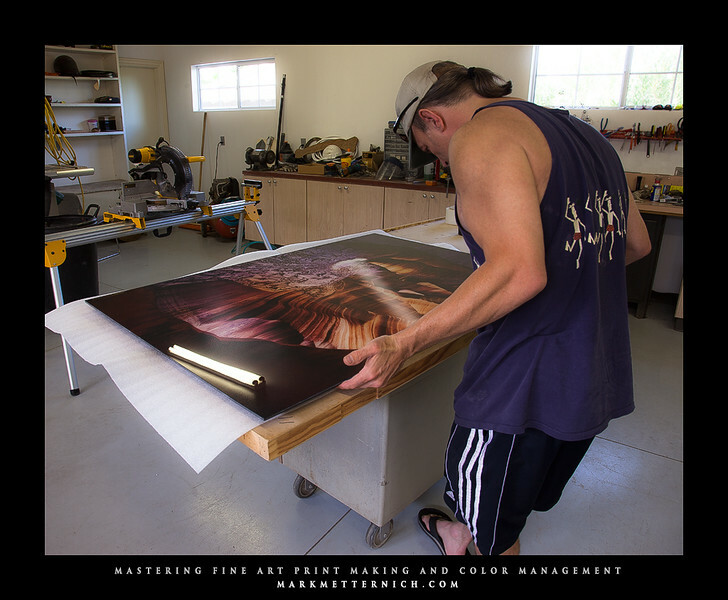 "Mark Metternich is a mad scientist when it comes to post production and print making! No one I am aware of in the business can touch him. I know that some of the very biggest names in the business tried to hire him when he was doing my work, but he decided to stay freelance which I am very grateful for because he did over $35,000 worth of master gallery printing for my first gallery in Las Vegas. The quality he can get out of a single raw file is downright amazing! Mark is also very personable and without a hint of ego that is so common in this field. Mark is able to meet deadlines and give his all in service to his clients. If anyone has any questions in regards to anything about Mark feel free to contact me! Contact info is at my website." "Mark is a genius. If you don't know this by now, you will after working with him just for a short time. He is obsessed with the pursuit of perfection which in the fine art production business is a great thing in my mind. With Mark, every little detail matters and nothing gets overlooked or unexplained. I just had 15 metal prints produced and words can't describe how happy and amazed I am with the results! Attention to color, tonality, contrast, sharpness - what I wanted to see from 45+" prints is all there. Being a novice at printing large size fine art, Mark's involvement assured top quality for my first run for the local showing. 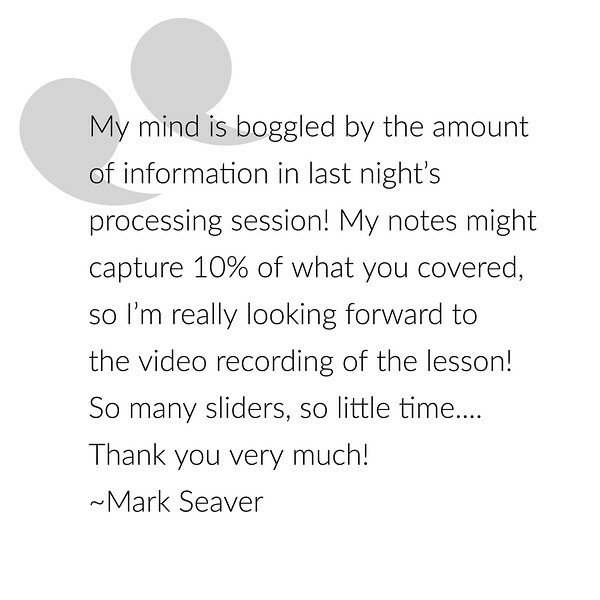 I can only highly recommend Mark to everyone who's interested in learning, understanding and mastering processing, color management, sharpening and printing - you will NOT find anyone better. He also recorded all his work on video screen capture for me and narrated everything he did. This in turn has allowed me to learn a tremendous amount of key techniques along the way". "I have had Mark do a whole slew of Fuji Flex, Metal and Ink Jet enlargements for me. I am a very experienced photographer and businessman but simply don't have time to spend all day behind a computer. I have been to most of the best landscape and nature photography galleries in the US and without naming names, it is my opinion that Marks personal prints and the work he has done for me, is unequivocally better! I would invite anyone to actually see what he does. Either go see his prints, or have him do one for you. The last job I hired him for was for the restoration of a file taken with a very sub standard camera and lens many years ago. A Canon 10D. I needed to make a big gallery enlargement out of it for sale. It was literally less than 6 mega pixels after the crop. I did not think Mark or anyone else on the planet could pull it off. 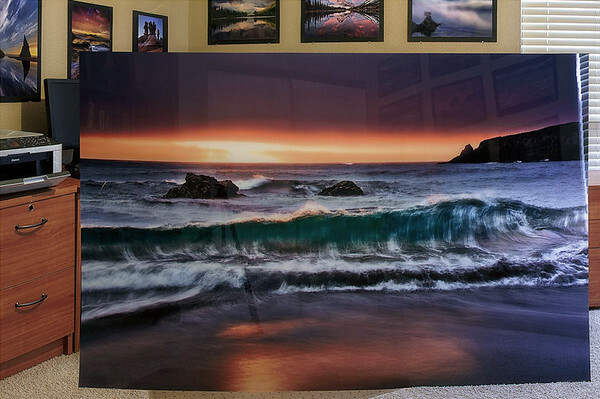 Well, when the 40 inch Fuji Flex Acrylic Mount showed up, I was honestly dumbfounded! It looks perfect! With quite a bit of Photoshop experience and knowledge I can not figure out how how he did it! Mark is the best kept secret in this business. I doubt for long." "I have used Mark Metternich's long experience with post production to produce my final images. The results are amazing and far better than I could ever do myself given the length of time he has spent perfecting his craft. I equate his processing work with the way that I would send my negatives out to custom labs in the old days. With digital processing however it is much easier for him to modify an image if it doesn't match my idea of how I want it to look." Mark, I just had 9 photos printed that will be on display for three months at the Jacksonville airport. Size ranges from 16x24 to 40x60. I processed them using your video tutorials and personal instruction. They look absolutely PERFECT! Thanks man!" I just received the metal print. OMG it's stellar!!! I put it up next to my print and wow what a huge difference! I'm so impressed by you and your services! I need to get that "Mastering Fine Art Printing and Color Management" video tutorial of yours. I can't wait to see this thing 60" hanging in the Museum!! Thank you so very much for your help. You truly are a master printmaker. Las Vegas gallery work with both Marks processed work (for Chuck Couture) and some pieces of his own.